The Kentucky Wildcats are out of the tournament, but at least they know who their coach will be for the foreseeable future. 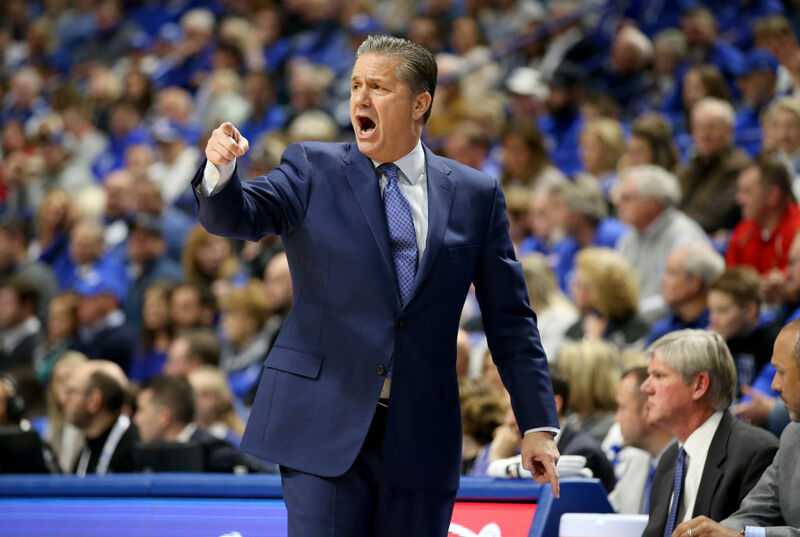 The school and John Calipari agreed to a deal that will keep the head coach in Lexington for the rest of his career. Calipari's is already the highest-paid basketball coach in the country, earning $9.2 million this year. His current contract goes through 2024; sources say this new deal will serve as an extension until Calipari retires. After he leaves the sidelines, he'll remain involved with Kentucky as a lifetime ambassador. On top of Calipari's hefty salary, he'll also receive $2.6 million each July through 2021 as a retention bonus. It's not quite the deal that former Mets player Bobby Bonilla gets each July, but still, nothing to scoff at. While the exact financial details of Calipari's contract have yet to be revealed, we can make a guess using just a bit of math. Calipari turned 60 years old this year. Let's say he coaches for another 12 years, receiving a 5 percent bump in salary each season. By the end of 2031, he'll have made $153,759,442, plus the $7.8 million in retention bonuses, for a grand total of $161,559,442. Even if Calipari just coaches for another ten years at the same $9.2 million rate, that's still just shy of $100 million, at $99.8 million. And that's not even counting the perks (and likely additional salary) he'd make as an ambassador for the university. Calipari received a six-year, $48 million deal from UCLA, but he turned it down. The Bruins have been looking for a replacement since firing former head coach Steve Alford on December 31. UCLA targeted Calipari and is also reportedly interested in Virginia's Tony Bennett, among others. Calipari is no stranger to success at Kentucky. He's reached four Final Fours and won a championship in 2012 with a star-studded team, including a young Anthony Davis. He's won more than 700 games over his career. But the Wildcats haven't made it past the Elite 8 in four years. Calipari has also had two Final Four appearances vacated by the NCAA. He took the Memphis Tigers to the final in 2008; all 38 wins from that season were later vacated after Derrick Rose's SAT scores were invalidated. Calipari also had his UMass team's 1996 Final Four appearance vacated when the NCAA ruled Marcus Camby had accepted money from agents. Nevertheless, Calipari and Kentucky have had a good relationship. And with this new deal, the two will be spending plenty of time together.